Rome is full of energy, history, and—of course—scooters. Rome has had many incarnations, from Etruscan enclave to hub of the ancient Roman Empire, to its role as capital of a reunited Italy in the 19th century and through to the present day. Its circuitous, scenic streets are layered with these multiple eras and hidden histories. In a single mile, you can experience everything from the rise of the Roman empire to the crypts of the medieval churches to the artistic techniques of the Renaissance. 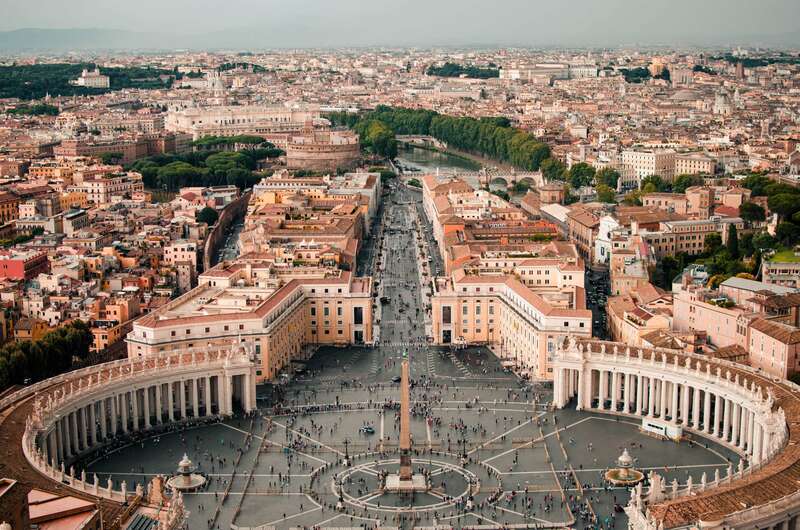 Yet Rome is constantly changing, with an exciting influx of contemporary art, design, food, and fashion adding a modern vibe to this ancient city. Unearth Rome's layers with Context's private and semi-private guided tours. We offer a wide range of private and semi-private guided tours in Rome, including visits to museums, archaeological sites, and food tours—all led by local experts. One of our most popular private tours is our Ostia Antica tour, during which we trek out to Ostia, the ancient port of Rome buried by centuries of mud, one of the nation's most compelling archaeological sites. Traveling to Rome with kids? Try our tours for kids in Rome, including our Ancient Rome for Kids Tour and our Vatican for Kids Tour, both of which use interactive activities, scavenger hunts, and games and feature guides trained in inquiry-based learning to make Rome come alive. Also popular is our Underground Rome Tour, in which we dig under the surface (literally and figuratively) with an archaeologist or speleologist to explore sewers, crypts, and buried temples—featured in National Geographic and on the History Channel.